Every two years since 1968, the AIA Long Beach/South Bay Chapter has celebrated outstanding architecture through its Biennial Design Awards Program. 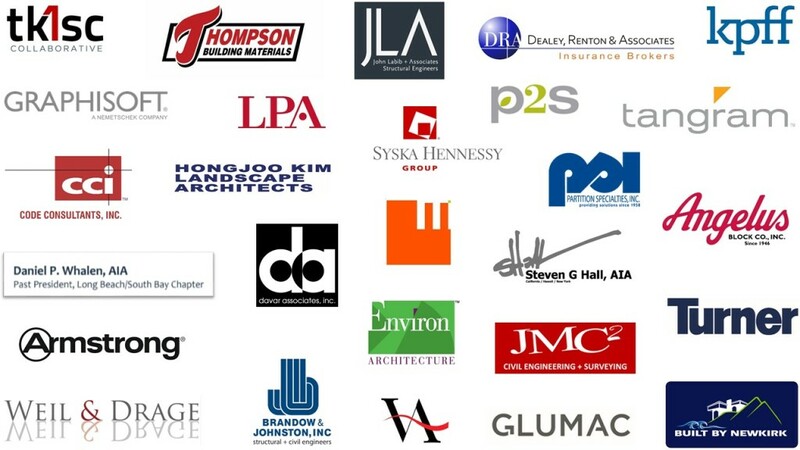 Our Design Awards Program recognizes achievements for a broad range of architectural works that elevate the general quality of architectural practice, establish a standard of excellence against which all architects can measure performance, and inform the public of the breath and value of architectural practice. To achieve these goals, the Design Awards Program seeks to recognize both Architecture and Interior Design. 2015 Design Awards . . .
A variety of building type categories and sizes were considered and projects were submitted in September 2015. Awards were conferred in the categories of Honor, Merit, and Citation and were presented at the Design Awards Dinner & Ceremony on October 10, 2015. Our esteemed Jury for 2015 was Mr. Hank Koning, FAIA, FRAIA, Mr. Gwynne Pugh, FAIA, ASCE, LEED AP, and Mr. Michael Rotondi, FAIA. Many, many thanks to our wonderful hosts at the Rancho Los Alamitos.